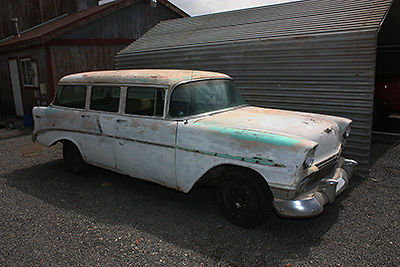 1956 CHEVROLET 4 door wagon original condition, 283 c.i. 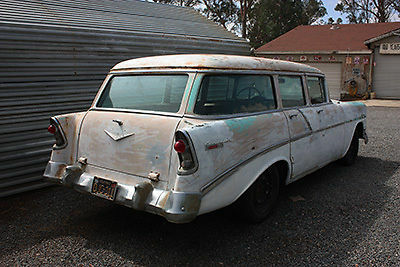 V8, powerglide automatic, power steering, recent rebuilt brakes, new fuel filter, rebuilt carb, new fuel pump, runs good, and drives needs full restoration or just drive it. 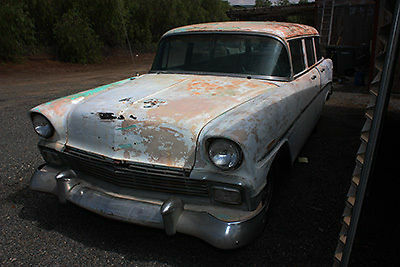 has rust in floor pans, both rear doors, right front fender, and right upper cowl by windshield. needs tires. 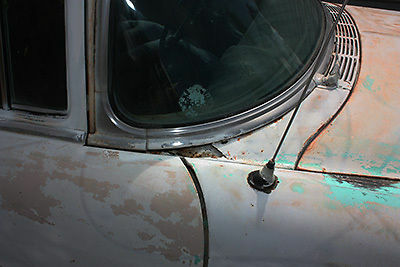 paint has a nice patina. all glass good.